Office365 | The IT Melting Pot! Microsoft has now released the Outlook app from Android, it’s no longer a preview. There has been a lot of debate around this app and how it handles your credentials etc. but I must say that from a usability point of view it’s good! Today we are excited to announce we have removed the preview label from Outlook for Android. 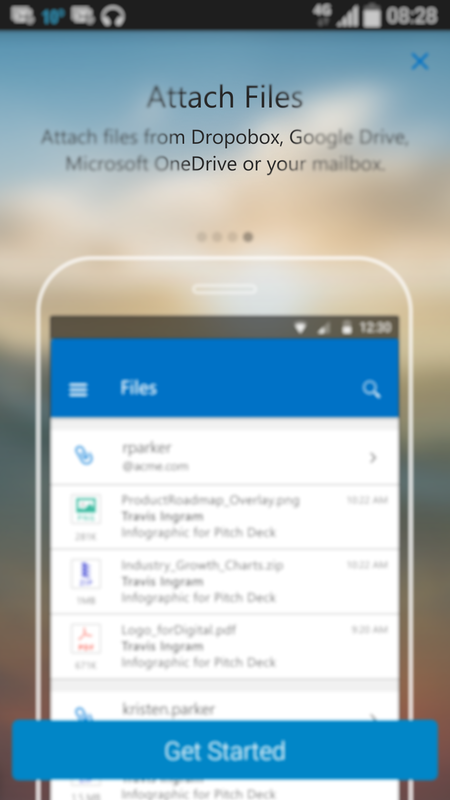 In January, we released Outlook for iOS and a preview of Outlook for Android. At the time, the iOS version of Outlook was ahead of the Android version in terms of features and performance. We set a high bar for where we wanted Outlook for Android to be before we removed the preview label. Since our preview release we’ve updated Outlook for Android 17 times—that’s more than one update per week—to meet this bar. A big part of that work has been improving the performance and stability of the app along with work on localization, accessibility and other fit and finish pieces. The other part of this work was about delivering features to add new value, match the iOS version and respond to your feedback. Along with apps like Sway, the new Office universal apps for Windows 10, OneNote and others—Outlook is an example of Office’s new development model for building mobile apps—deliver a great first version of our apps and then iterate quickly with the help and feedback of our users. This removal from preview is not a change in that plan or a statement that we are ‘done.’ We will continue our pace of updates to make the app better each week in response your feedback. We’ve continued to polish the look and feel of the app. We updated our icon sets and simplified our fonts to provide a more consistent Outlook experience across operating systems and devices. But it was also important for Outlook to feel like a natural part of Android. We use common Android design principles like the Navigation Drawer to house the multiple tools offered in the app and have common actions like settings available in the App Overflow menu.